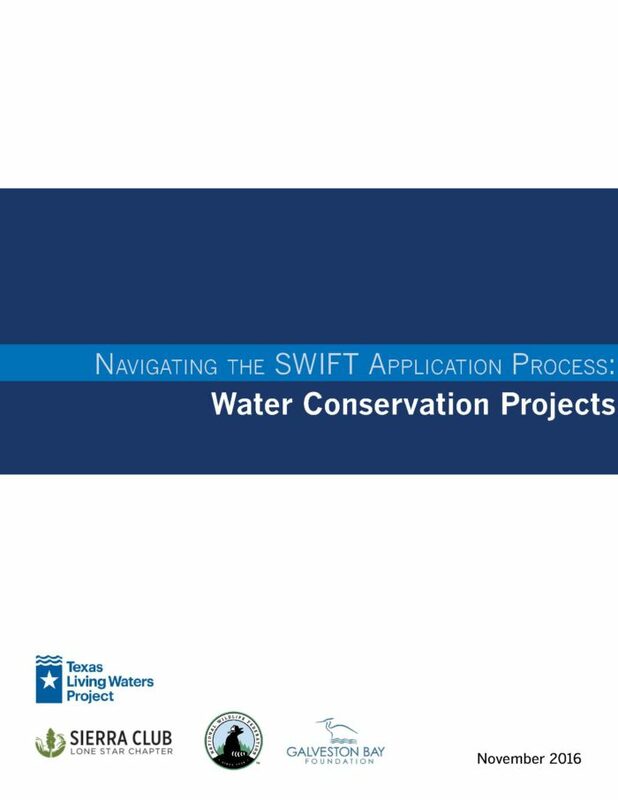 The Texas Living Waters Project has designed Navigating the SWIFT Application Process: Water Conservation Projects to assist small-to-mid-sized utilities in evaluating the funding strategies available to them for implementing their water conservation projects. This document focuses primarily on the State Water Implementation Fund for Texas (SWIFT) and includes a detailed description of the application process established by the Texas Water Development Board (TWDB). 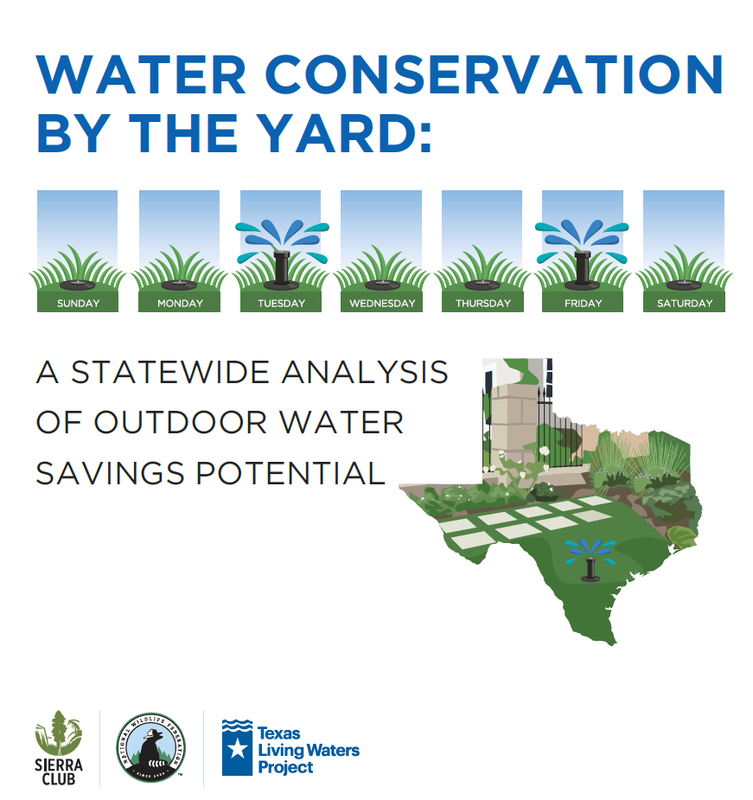 The Texas Water Conservation Scorecard (visit website here) is the first-of-its-kind in-depth analysis and ranking of the water conservation efforts of more than 300 water utilities in Texas. 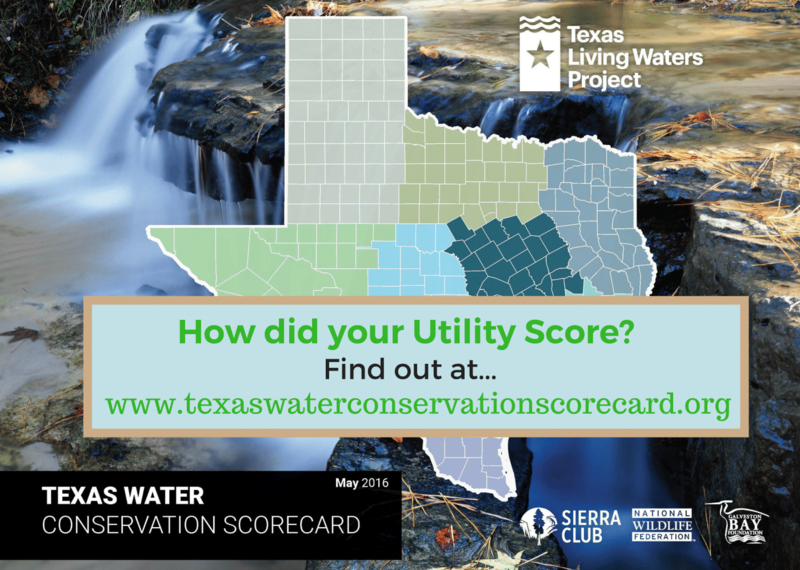 Based on publicly available information, the Scorecard reveals a wide disparity of effort and information on what is being done to conserve the Lone Star state’s most precious resource: water. The Scorecard is an evaluation of utilities based largely on their level of effort to advance water conservation, and to a lesser extent on their achievements. Scoring criteria included a utility’s compliance with water conservation planning and reporting requirements, its record on water loss and meeting targets for water use reduction, outdoor watering limits, and rate-based incentives for efficient use of water. Large and medium-size utilities (serving 25,000 customers or more) were evaluated on ten criteria while smaller utilities (serving less than 25,000) were rated on six criteria. 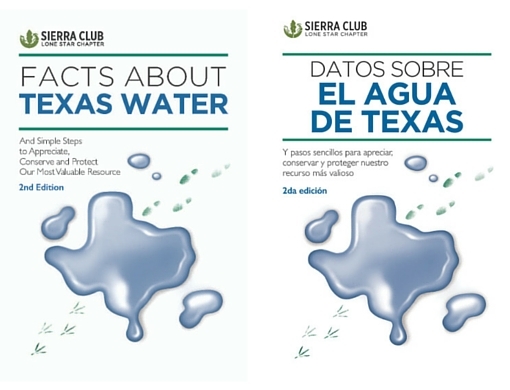 The 2nd edition of Facts About Texas Water is available in English (click to download English PDF) and Spanish (click to download Spanish PDF). Facts About Texas Water is intended to give all Texans—young and old, urban and rural— basic information about water that will help us understand this important resource and how to use and protect it. Facts About Texas Water was prepared for the 7th/8th grade student, but is useful to all Texans that want to learn basic information about your water supply and how to appreciate, conserve, and protect this valuable resource. We have a limited amount of printed copies available free of charge for educational activities. Please contact us to inquire about availability. View conference materials and presentations.